Cholera has been the cause of the biggest pandemics in history of mankind. When you study the function of the Cholera bacteria, it looks like it is designed to do what it does. It overtakes a cell and takes the salt out of it. Since humans live on salty water, it is deadly when Cholera tries to do that inside of a human body. But there's one instance where this helps an organism. There is a type of crab called the Blue Crab. During its life it crosses over from the salty water into fresh water. Now, animals who live in salty water cannot survive in fresh water, and vice versa. But Blue Crabs have a bunch of Cholera bacteria in their gut. And that bacteria cleans out salt from their body, helping them to adapt to fresh water. 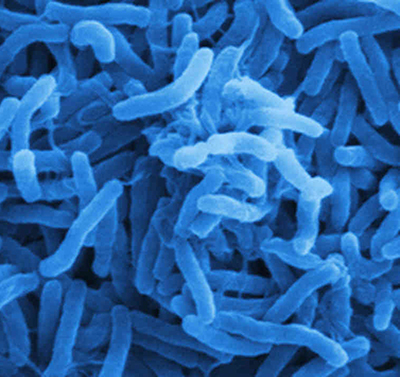 There are usually no cases of people getting sick with Cholera in the United States today. But there are a few cases each year. And they usually involve eating of Blue Crab. Another thing is that Cholera is only dangerous under specific environmental conditions in some parts of the world. If you swam in a lake, you probably swallowed some of it. But you're fine, because Cholera becomes dangerous only under special environmental conditions, found in some regions of the developing world. There is an estimated 30,000,000 types of bacteria in the world. They are like tiny nano-robots recycling stuff and powering life on our planet in so many ways. Only a few hundred of them are bad for human beings. So bacteria were not created to do evil in our world. In fact, it's very likely that under different conditions present on Earth at time creation, none of the bacteria were dangerous to human beings. "Cholera and Creation." Unlocking the Mysteries of Genesis. Grace Community Church, Sun Valley, CA. 11 Oct. 2014. Lecture.